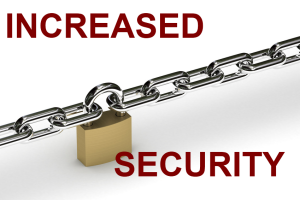 Industrial Surplus Inc. launches a tighter security system after a recent threat in copper theft and protects its business by taking a few advances so the inventory is protected at all times. Anticipate copper rise in value soon! In this economy when America is trying to rebuild itself on the very ideologies that made it into a super power, there is something that is challenging its very infrastructure, and that is copper theft. Everyone is talking about it, due to the billion dollar return on investment for the industrial material copper. 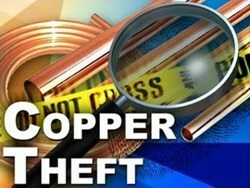 With the industrial market growing, copper theft is a growing concern that is costing several businesses much money. There have been news reports of several people trying to break into businesses, vacant homes and even industrial plants including cell phone towers, telephone land lines, railway tracks, etc. to steal copper that is induced in several electrical materials. The price of copper took a dip in the summer months but it is expected rise again, soon. The price of copper can be anywhere from $2.90 to $3.10, and that is a good news for all the dealers in copper. "It can also be alarming, because a lot of people will try to steal or break into businesses to dismantle material with copper in it,” said Shawn Parker, Vice President of Industrial Surplus Inc.
Copper is used in most machines and material due to its physical and chemical attributes. “We would advice all industrial and business associates to keep a close eye on your yards and businesses. We have 24 hour surveillance and a security guard at our property at all times for the same very reason. In the long run, it’s more feasible to take safety measures than to regret a loss later,” adds Shawn. There are so many substations that have large amount of copper wiring and content. Most businesses are becoming more aware of this problem and keeping insurance on their equipment and material for the same reason. Further research found that there are several companies that are making sure right steps are implemented to protect themselves from theft. For example, companies like Digital Globe are doing just that. They take satellite imagery and collect analytical data to figure out what location models have copper and could be a possible target for theft. Such technological steps gives the executives, shareholders, owners, employees and companies a peace of mind that their infrastructure basis is protected and watched at all times. Industrial Surplus Inc. has thirty years of experience also in buying and selling surplus materials and equipment. Industrial Surplus’s warehouse is based in Houston, Texas along with 18 lay down yards all over the states. The company also purchases scrap metal and wiring at unbeatable, unbeatable prices along with buying and selling industrial surplus equipment.